Today we’re going to have FUN WITH FLAGS! I’ve always loved flags and heraldry and I’ve incorporated both in my books and the graphic novels and board games I’ve written. For Arks of Andromeda and my next book, The Dragons of Andromeda, it’s a little harder to describe how a family’s crest or an empire’s emblem appears, but I have a definite idea of how they look in my head. With that in mind, I’ve put together some images that will hopefully make things easier for others to visualize. 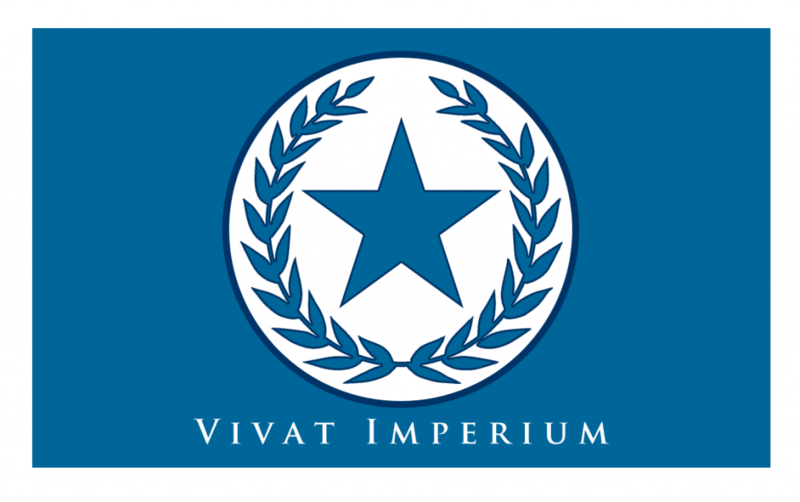 The Imperial flag incorporates the official emblem of the Imperium on a blue field along with the words Vivat imperium, Latin for “Long Live the Empire”. The official flag would fly in front of all imperial buildings as well as other public buildings on holidays. Each of the five families, as well as all the other royal houses, have their own crest and colors. The colors are especially important for the clothing each house wears during official appearances. The crests would also appear around the estates of each family and any starships or vehicles they might be using. In Dragons of Andromeda, the two newest members of the aristocracy must decide on both their crest and the colors that will represent them. When you read the book, you’ll get an idea of why they chose the combinations they did. 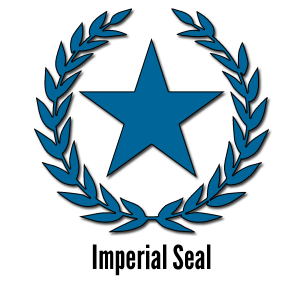 Next time on FUN WITH FLAGS!, I’ll show some of the national flags of races who live in the Imperium (i.e., the Dahl and the Gordians), as well as the state flags of the empire’s enemies, the Magna Supremacy and the Talion Republic. Posted in Uncategorized and tagged artwork, flags. worldbuilding.